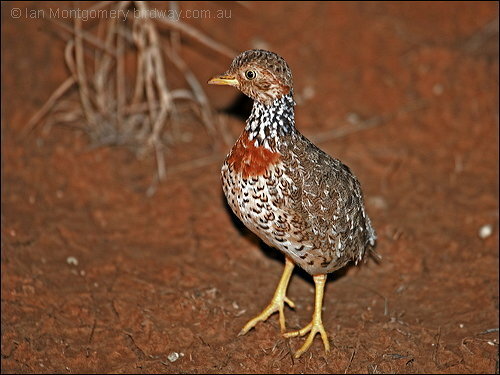 The Plains-wanderer (Pedionomus torquatus) or Plains Wanderer, is a bird, the only representative of its family. It is endemic to Australia. The majority of the remaining population are found in the Riverina region of New South Wales.